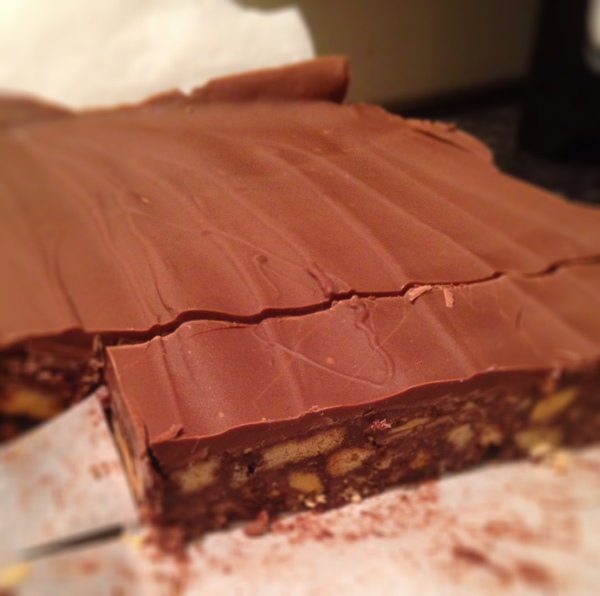 These bars are very quick to make and give my famous brownies a run for their money!! Line with baking parchment a 10×7″ baking tin. Melt 100g butter and place in a large bowl. Add 3 tbsp cocoa powder, 4 tbsp golden syrup, 25g soft brown sugar and stir well. In a large bag, place 200g digestive biscuits and 8 crunchie bars. Bash with a rolling pin and crush. Add to the butter mix and stir well till all the biscuit mix is well coated. Tip into tin and press down well. Wow, marvelous blog format! How lengthy have you been bloggung for?